Choosing a wedding date can be a little bit like putting together a puzzle. You've got to find a date that fits in with your schedules and the schedules of your loved ones, while also keeping season, availability, and budget in mind. It's like the stars have to perfectly align in order to settle on a specific wedding date because trying to find a day where your desired venues and vendors are all available is quite a feat in itself. There are 365 days in a given year to choose from, so how do you choose the best date to get married? Check out this list of the major questions to ask yourselves before settling on a wedding date. Which Season Should We Get Married In? 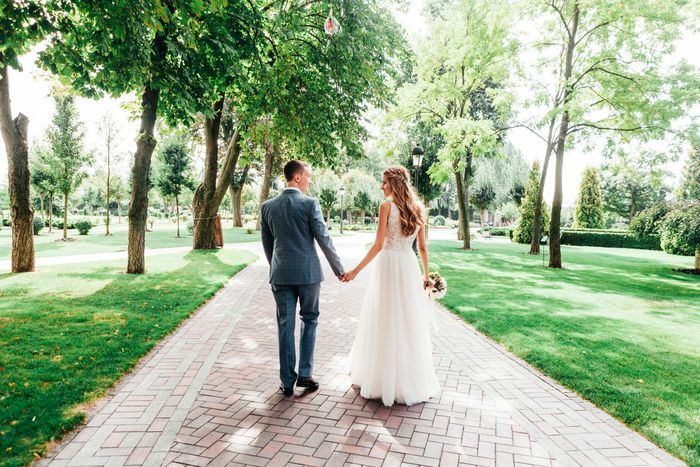 Choosing the best month to get married ​can be a tall order, so it's important to consider all the factors that make a date easier, more affordable, or more appropriate for your wedding. Perhaps the first thing you should consider is which season you want to get married in. Do you prefer the beauty of ​spring flowers, the warmth of summer sun, the colors of autumn leaves, or a blanket of freshly fallen snow for your winter wedding backdrop? For some couples, your wedding season might depend on your profession. For instance, if you are a school teacher, summer might be the best option so you won't have to take time off work to honeymoon. On the other hand, if you or your fiancé are accountants, springtime (aka tax season) will most likely be off limits due to your workload. Think about the seasons and which are most convenient for you and your fiancé's schedules and go from there. Are you set on a Saturday wedding, or do you want to save money by having it on a Sunday, Friday or even a weekday? Do religious observances, like the Jewish or Christian Sabbaths mean that either Saturday or Sunday weddings aren’t an option? If most of your wedding guests are local and will not be traveling for your nuptials, you might also consider having a weekday wedding. Weekday weddings often offer discounts as well as more availability of premium locations and vendors, so you could get the wedding of your dreams for much less if you do it mid-week! Is There a Special Date You&apos;d Like to Commemorate? Many couples love the idea of getting married on Valentine’s Day (February 14th), or The Sweetest Day (October 18th). You could get married on the anniversary of the day you met, or honor your parents or grandparents by choosing to get married on their wedding date. You could get married on one of your birthdays, or on the anniversary of a favorite moment in history -- like Queen Victoria’s wedding date, for Victorian-themed weddings. The vast majority of engagements last at least a year, as that gives couples a good amount of time to plan their wedding without stressing out. Other couples may think that spending an entire year is unnecessary and torturous. Part of choosing your wedding date could involve how long of an engagement you want to have. If your dating anniversary doesn't fall on a Saturday until the 2nd year of your engagement, then perhaps you'd rather wait and have an extra long engagement so you can keep your same anniversary. The choice is yours, and it would also give you extra time to save up for your celebration. What Are Your Wedding Priorities? You may have to make some hard choices when it comes to choosing your wedding date. If one of you really wants to get married on your anniversary, but it falls on a Friday, and the other really wants a Saturday evening wedding, you’re going to need to find a compromise. Each of you should rank what is most important to you. If your favorite photographer isn't available in all of June then perhaps you would choose to hold out until September for a date when he or she is available. Are There Dates You Want to Avoid? The last thing you want to do is have your wedding on Super Bowl Sunday, or on an important religious holiday. You want wedding guests to be happily present, not resentful or secretly listening to the big game. Here's a list of wedding dates to avoid so you won’t accidentally make a huge mistake. Can All the Important People Make It? If your sister will be in the midst of college finals, or your parents will be on an international vacation, that’s not a good date to choose for your wedding. Don’t worry about accommodating too many people, because that's basically impossible. But you should definitely keep in mind any big trips or occasions in your close family and friends' lives to give them the best chance of being there for you on your big day. Are Your Chosen Vendors Available? 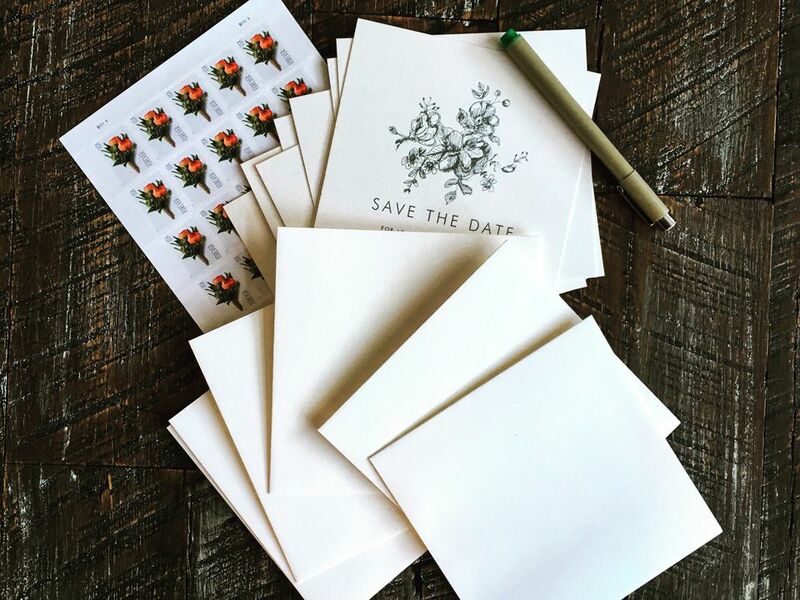 If you really want to have your wedding ceremony at your church or the reception at your town's most beautiful banquet hall, you’ll want to make sure they’re available before you start sending out Save the Dates. Most people won’t change their wedding date just because their favorite photographer isn’t available, but if that’s important to you, you’ll want to book him or her first before finalizing your wedding date. Not having the very best location or vendor won’t mean disaster, but their availability is at least something to consider.